Stephan Lichtsteiner has revealed the reason why he signed for Arsenal after his contract at Juventus expired (via Arsenal.com). 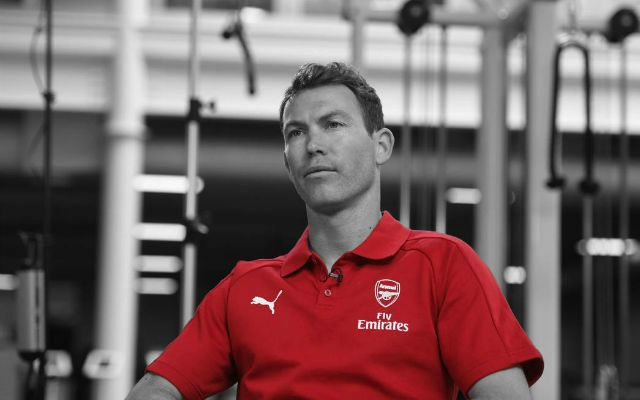 On Tuesday, Arsenal announced that Stephan Lichtsteiner has signed for the club who, at 34 years old, is the club’s oldest signing in almost a decade. The Swiss captain has signed a one-year deal at the Emirates after winning the Serie A title in every one of his seven seasons with Juventus. The right-back is obviously a hugely experienced player and now, Lichtsteiner has revealed why he chose to sign for Arsenal after the expiration of his Arsenal contract. “There is a project. There is a project to come back into the Champions League,” Lichtsteiner told Arsenal.com. Lichtsteiner was also asked for his thoughts about the club’s new head coach, Unai Emery. “He’s a very good coach who’s won a lot of titles, especially the Europa League that we play in this year,” Lichtsteiner went on. “He’s a coach who knows what he wants and a coach who also progresses the players, and also old players like me. Stephan Lichtsteiner should prove to be an excellent signing for the club. He will add useful cover to Hector Bellerin at right-back but his biggest impact should come behind the scenes. He appears to be a hugely determined footballer, evidenced by the fact that he still made over 30 appearances for the best side in Italy last season at 34 years old. Let’s hope he can help improve the mentality of the team.